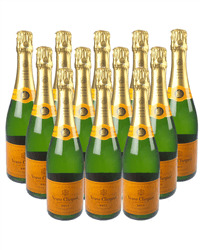 This would get the party started, twelve bottles of Champers. Our twelve bottle Veuve Clicquot Champagne case deals are great value and you have a choice of 3 Champagnes to choose from or a mix of them all. The Champagne will be delivered on a date of your choice too!